USMC / US Marine Corp.
Made for the US Military with Superior Materials and Workmanship. NOT A CHEAP INFERIOR IMITATION! Reliable bug protection is finally here! 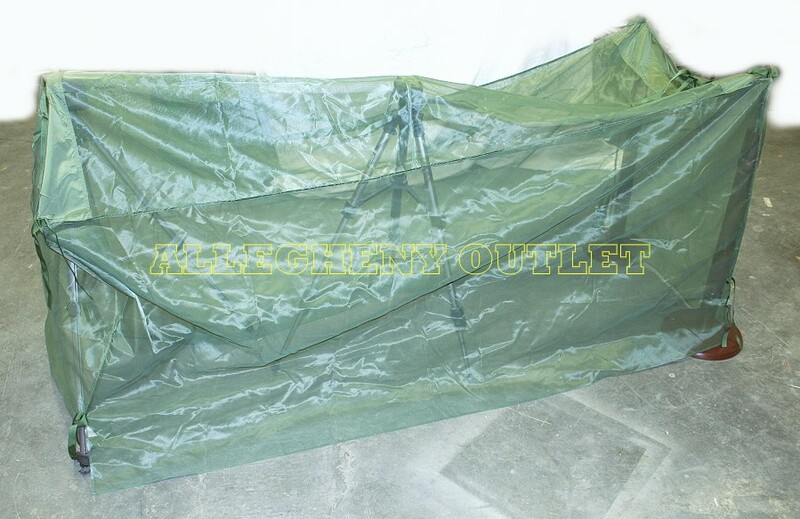 This mesh bug netting will keep those vicious, stinging critters away, while you sleep safe and sound. 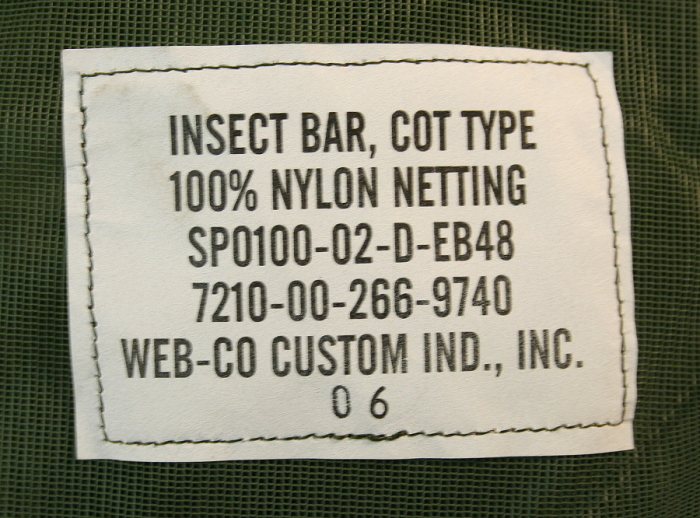 Insect cover is intended for use as personal insect protective equipment to be used with a cot, bed or tent. It has tie ribbons and reinforced button holes for attachment. Best Chemical-Free protection against biting and stinging insects such as mosquitoes, gnats, ants, spiders, bats, etc.